Moving to Chile - Compare International Movers & Save up to 70% ! Chile is a country in South America, with a total length of 4.300 kilometers which makes it the longest country in the world. The official language is Spanish. Although there are also large groups of Germans, French, English and Croatians. Preparation is very important step in a long journey. It’s useful to have a little information about Moving to Chile. The capital of Chile is Santiago but the largest city is Puente Alto with a population of 600.000. The government of Chile is located in Valparaiso. Intlmovers is a quick and easy way of finding and comparing international moving companies that can help you with your relocation to Chile. By using Intlmovers you save both time and money. Intlmovers allows you to compare international moving quotes from op to six experienced moving companies at once without any obligation. The international moving companies have years of experience with moves to Chile. Because of it’s length Chile is a very divers country which has a lot to offer to you. A lot of international schools like the British school. Costs of housing are very low compared to other places in the world. Because of the shape of the country Chile has a large biodiversity. Chile is the world’s fifth largest exporter of wine. Chile is a important export country and the economy is still increasing. Using the Intlmovers service won’t cost you anything at all, but it’s likely you will save money by using the free quotation service. By only one request you will receive up to six moving quotes from experienced international moving companies. By comparing quotes that you receive, you can more quickly see the different services that are on offer from the different companies. 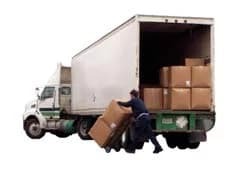 After submitting your quote request you will be contacted soon by moving companies who will send you their personal moving quote in writing. Don’t bother chasing around quotes, because Intlmovers does the work in the background for you.